On this course Scottish Author, animal communicator and Crystal Skull Channel Alphedia (Fiona Murray) And London Kundalini Yoga Master & Serpent Priestess Kwali Kumara taught participants how to reclaim their Atlantean wisdom working with Crystal Skulls and live tame Snakes. Members of the priesthoods during Atlantean, Mayan and Egyptian times have returned to earth to help facilitate the global conscious ascension process by offering the tools of transformation for those wishing to activate their light body and remember their own ancient knowledge. This was the first of a series of workshops that were to be shared with you to aid the ascension process and a smooth transition through the 2012 winter solstice portal.Participants learnt how to gain admission to their own Atlantean wisdom, working with the crystalline and serpent avatars that are the storehouses of the ancient knowledge from this period of time and hold the keys of wisdom for us today. The Session began with a physical initiation involving Kundalini Yoga breathing techniques and chanting of the ‘Naad’ sacred sound currents. This practice will prepare your body as a receptive vessel to download the Atlantean frequencies required by each soul for their journey here on earth. They performed a Chakra activation and fear removal meditation before connecting with the live serpents and communing with the crystal skulls. They experienced Live Skull Channeling’s from Sherling (merlinite skull) and Keeb (a clear quartz skull with tourmaline inclusions). These channeling’s will provide the chance to meditate with these powerful positive entities and become re-attuned to the 13 Original Atlantean Crystal Skulls. Participants received their own crystal specific to their etheric body’s requirement and experienced a live healing exchange with the Serpents of the golden chain. This workshop awakened their own inner serpentine energy (kundalini life-force) allowing it to pierce through each chakra activating the Atlantean talents stored within and purifying the channels to allow you to become more open to their own Atlantean ancestry. 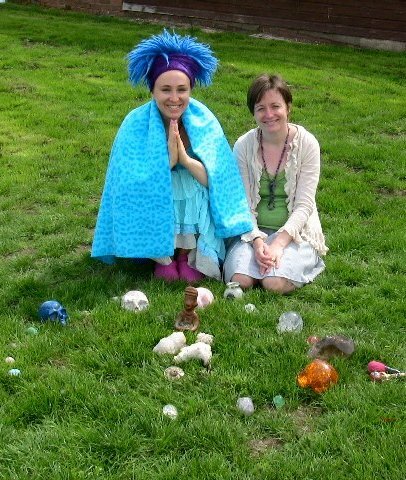 Attuning to the crystal skulls allowed participants to connect with their personal skull guardian in the physical and etheric planes and allow the Atlantean Energy Frequency of the Ka ta han which returned to the planet on the 12th March 2011. The team anchor this energy onto the Earth once more and learn how to use it to aid Mother Earth’s recovery. This was a truly unique chance to explore the energies of the Aquarian Age by looking back in time to the ancient ones to bring their healing energies and light work into our current existence.